“Kick-Off” for my new blog !! | Germany...? USA...? Any differences...? 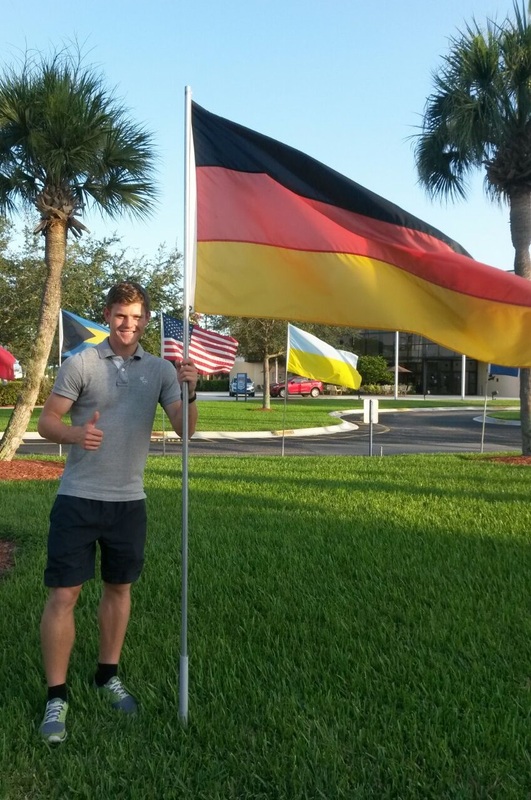 I’m Tobi and I’m from Germany but I live currently in West Palm Beach, Florida because of passing a semester abroad. I will start my new blog about the difference of the US and German culture. During the next weeks I’m going to present several culture topics which characterize the USA and Germany. In this juncture I want to provide some funny insights into the way of life of both of these countries. In addition I attempt to add a few of my experiences which I get during my semester abroad. Think about the following…I was surprised about the answer. …Do you know which language holds the status “official national language” in the USA? ?